Are you thinking of becoming a beekeeper, or do you need a refresher course? Learn all the basics, from hive construction to honey bee behavior and honey production, with our expert instructor. 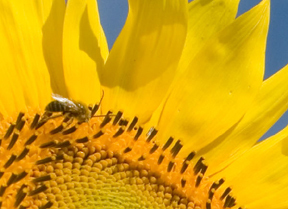 Our Spring 2019 Beginner Bee School is now open for registration. See details at this link Beginner Beekeeping. Are you already keeping bees and want to delve into more depth on the fascinating creatures? Let us know if you’d like to be notified of future intermediate beekeeping courses. Contact us at 207.324-.2814 or email elizabeth.clock@maine.edu with any questions, or to be placed on our notification list for future beekeeping courses.